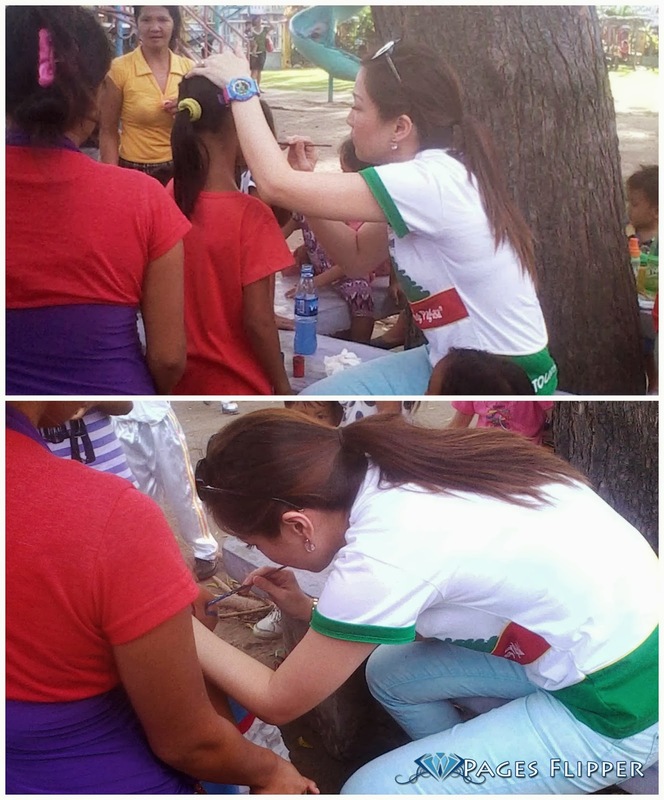 Home Event GenSan Happening Pasko ng Batang Heneral 2013: First Lady in Action! 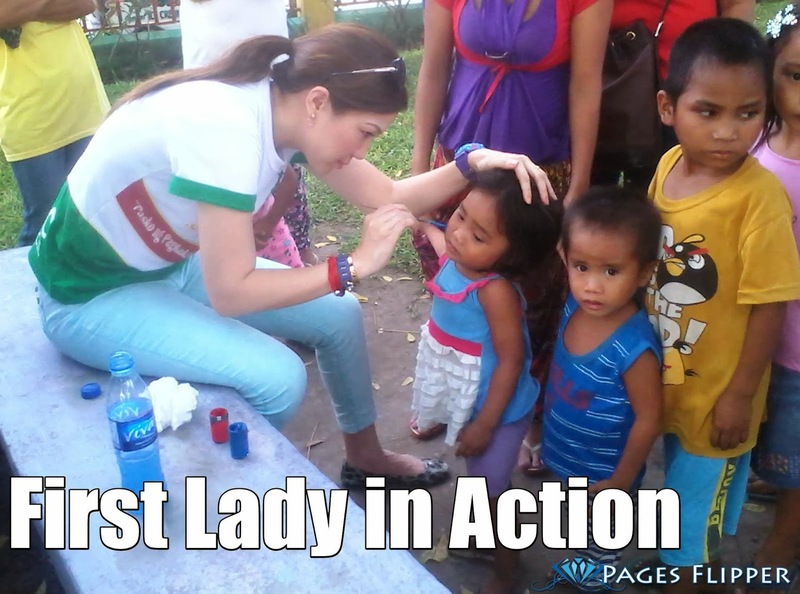 Pasko ng Batang Heneral 2013: First Lady in Action! This girl is on faayer. This girl is on faaayerr-her. haha OK. This is not about the melody nor about a girl, however in the vicinity of a lady ablaze. A lady in heat of kindness, generosity and integrity. This is the manner by which I best depict Ms. Jane Rivera - the First Woman of General Santos City. Going by the adage that behind each fruitful man is a lady, a spouse that has customarily been alluded to as the First Woman in a city which plays an important role. I know how tough her job is because of course she has to be graceful and a good hostess who remains in the background while the Mayor cows the boat of city. Yesterday, in festival of Paskuhan Sa Gensan 2013 (Yearly Christmas Festival in Gensan) the Pasko ng Batang Heneral were held. We welcomed 520 children from different 26 barangays of Gensan to experience a happy Christmas gathering with full load of foods, beverages, and toys. Additionally we ready goodies for everybody, enchantment, face painting, cotton sweet and a ton more. The extremely popular mascots Barney and Jollibee also graced the celebration. From the start throughout the entry of the kiddos at the venue, you can perceive how susceptible their confronts are loaded with energy and bliss. All kids are gotten all the more particularly from their each barangay to guarantee the wellbeing of one another. Furthermore, the time we gave the queue for the checking of kids for every barangay turned into a digit troublesome on the grounds that others are not basically emulating the best possible process that we furnished to them. According to guidelines that they're just permitted to convey a most extreme of 20 kids for every barangay and in the occasion they overwhelm the aggregate number of kiddos, we can no more cater the additional children. Some way or another later it came to be well with the assistance of every barangay social administration welfare officers. Later amidst the occasion while others are entering the venue for the event was going to begin, again one transport from a barangay arrived. Much to our dismay that it originated from the same barangay where they host recently delegates inside the gathering venue. The vicinity of two representatives from the same barangay cause a little issue since being expressed according to administer, we can no more cater the additional children of the same barangay. Right away we truly didn't recognize what to do since we need to adhere to the project to fittingly order the occasion regardless. Aside from getting two set of representatives from one barangay, different barangays has additional children too that we can no more handle. There were more than 100 children not included in the list arrived! Whatever happens we chose to adhere to the arrangement. If it is without wanting to we have to consent to the principle since preceding this, we recently set an update to distinctive barangay that we can just permit 20 children. Our action is to carry them back to their barangay in light of the fact that separated from they multiplied the amounts of children to represents their barangay, the second clump itself go past the aggregate number kids. After the miscommunication from the social service officers to the transport driver who fetched the children, Ms. Jane Rivera quickly addressed the situation that notwithstanding the circumstances, there will be no child left hanging and did a reversal home or to their particular barangay with bafflements. She carried all the children to Gensan open play area. Do active in furnishing the consideration these children needs. She hands-on-ly paints charming stuff on the faces of these kiddos while others are reveling in the slides, swings and whatnot. Never in my insane thought might that she do such deed. I'm a fan. Bravo! I mean, BRAVA! All the children inside the city playground area were given what these children in the gathering venue has, like toys, food, drinks and the like. It wind up everybody turned into a joyful honey bee and ran back home with a grin. For sure, it was an incredible Christmas festival for them together with the first lady of Gensan. It was heart breaking after seeing the sad faces of these kids after telling them that they can no longer part of the kiddy party but how our City First Lady lightens it matters most. I guess, I have to end this post with this. What goes around comes around - and with benevolence it truly does. I believe that being kind to others increases our own levels of happiness as well as theirs. Furthermore it has a thump on impact - thoughtfulness is infectious, so it makes our societies nicer places to be. We are not wanting any in exchange from these kids since the satisfaction this occasion gave to us was sufficient to encourage and feed our heart and spirit.